Almost 20 years ago Luisa, Hervé and their Auroville Papers team started out with the idea to create a new look and feel for paper, even though they knew very little about the actual process and technique of making it. Crafting stationary, posters, photo albums, folders and much more from waste paper in the beginning slowly expanded, over time, to experimenting with natural materials such as cotton, straw, jute, and leaves from different native trees. Today, their team sees this work as play, paper play, filled with inspiration and joy. To create a place where creativity, a process of constant learning and an aim for perfection can flourish is the goal of Luisa and Hervé. They work with women from the surrounding villages of Auroville, providing training in papermaking and designing, to empower them, to make them independent and self-sustainable. Another big aspect of their work is to live in tune with nature. Papermaking is a craft for which a lot of resources, like water and natural fibers, are used and wasted. Feeling connected the surrounding jungle they only use recyclable material, like waste paper from Auroville and natural fibers. They also recycle their water and work with green energy from windmills. Auroville Papers is just one of four Units run by the team. The others are Auroville Press, Auroville Press Publishers and the Seagull bookshop in Visitor Center, employing over 40 people in total. 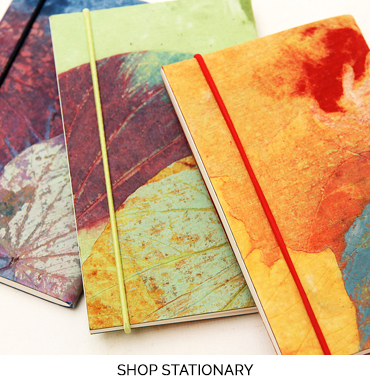 With the advent of the electronic media, the stationary market started shrinking. 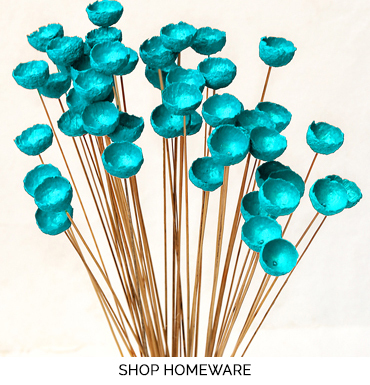 This forced the team of Auroville Papers to constantly invent new products; they entered the home décor market a few years ago. Their latest venture is art. Even though they do not see themselves as artists they feel that they have an artistic sensibility. Since their first exhibit in 2002, where they spread the awareness of their work in the Auroville community, they are displaying harmony and joy through paper. One of their recent developments is a workshop in papermaking, offered to guests, visitors and Aurovilians alike. Their aim is to spread the knowledge and share the beauty of the art of papermaking. Participants learn about the different fibers that go into the fabrication of paper, how to process them and use different leaves and flowers for design and art. 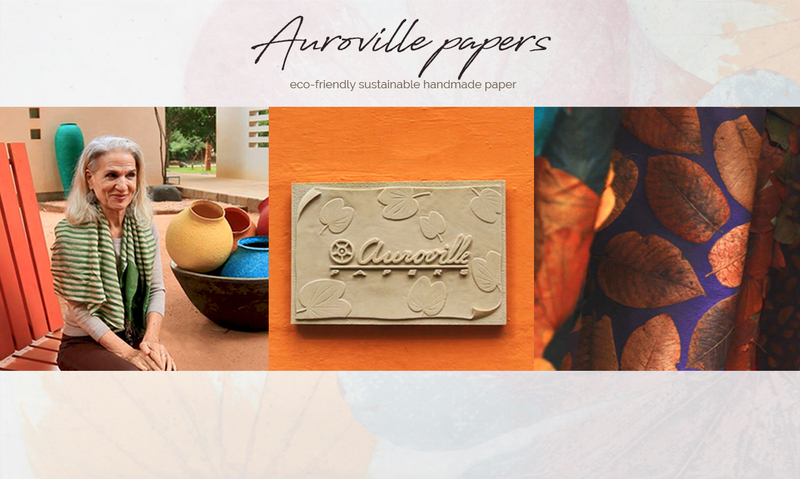 Spreading the joy and beauty of paper is the aim of Auroville Papers, as well as contributing towards the universal township of Auroville, for it to grow and flourish. 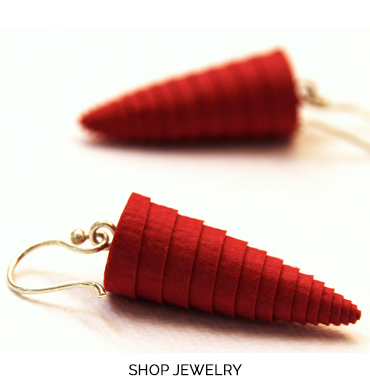 By buying their unique handcrafted items you will support them in their mission and vision.